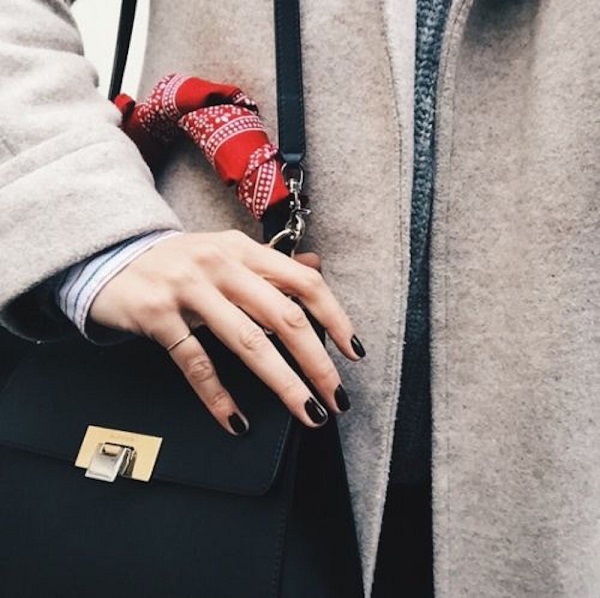 exPress-o: Bandana: Thumbs up or down? Tea Rituals Around the World. Cheers to a jazzy weekend. Stunning Emmy Trinh Jewelry Giveaway! Bandana: Thumbs up or down? Cheers to a September (long) weekend! 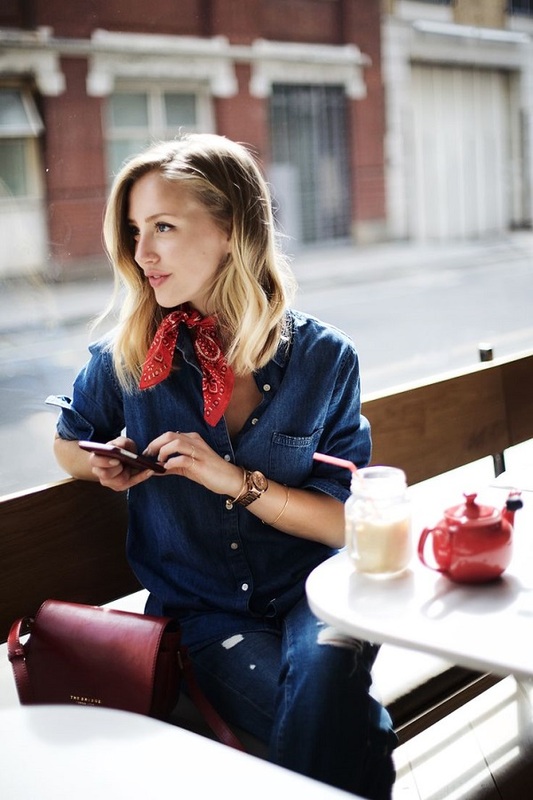 Have you noticed that bandana is making a comeback? Just this morning I spotted a girl sporting it as a neck scarf and last night at dinner, a friend wore it as a hair band. 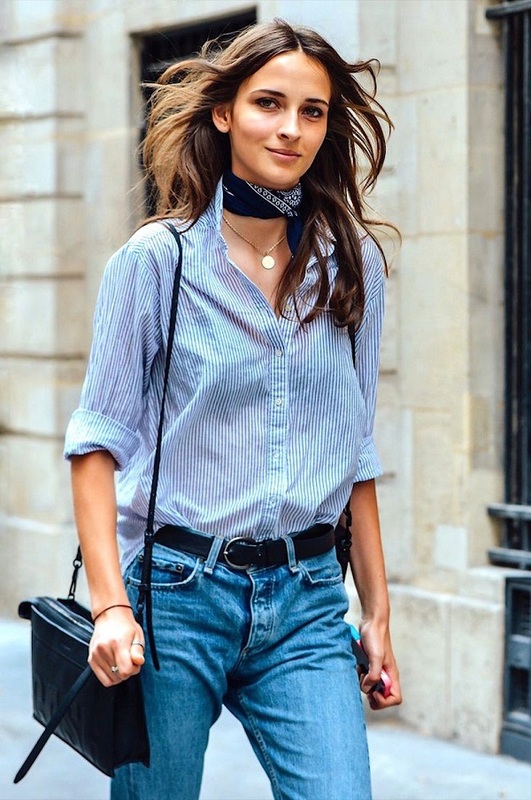 For years, I felt that bandanas were way too cool for me to wear as I always associated them with the icon that is Jane Birkin, but looking at those photos above, I might dig mine out and wear it with a cozy sweater or turtleneck this fall. What do you think? 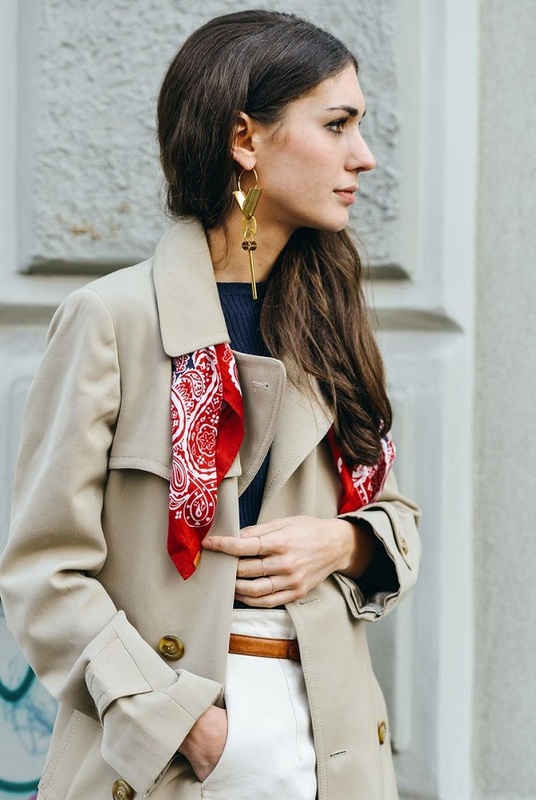 P.P.S: Two autumn takes on a silk scarf and one scarf four ways. I like it, a lot!!! I quite like the look of it! Haven't tried it out myself yet though. You always find the best inspiration photos! I'm going to say no, in hair or on purse is ok, but around the neck, no. But like many trends, if I see it long enough, I might change my mind! I wore bandanas like a girl guide when I was in high school, so I was in on this trend, I guess! Yes, it looks nice. I also think they are perfect for older women who want to cover up their aging necks.